This CD provides a neat entrée into the slightly loopy and hard-swinging world of leader Joel Forrester. The composer of National Public Radio’s Fresh Air theme and a cofounder of the now-defunct Microscopic Septet, pianist Forrester projects a slightly off-kilter style that manages to reach a torrid pace and express happiness at the same time. This CD represents Forrester’s last recording with Denis Charles, his longtime drummer, who died in March 1998. Baritone saxophonist Claire Daly bellows with burly conviction – her recent Koch CD Swing Low also showcases her considerable talents – while bassist Dave Hofstra provides ample bottom. Forrester, a native of the Pittsburgh suburb of Mount Lebanon, is a serious jazz guy. It’s a bonus that he’s a tad wacky. Pianist and composer Joel Forrester’s music is better known than you might think. Forrester’s coup de grace is the theme for Terry Gross’s Fresh Air, the National Public Radio show that roves through arts and culture on a daily basis. And while you can get Forrester’s solo piano take on the theme on his Stop the Music, with Believe It you get Forrester’s creative People Like Us quartet. Claire Daly’s baritone sax is one of the band’s hallmarks, with her slippery phrasing and clear fondness for the horn’s low-end blurs. 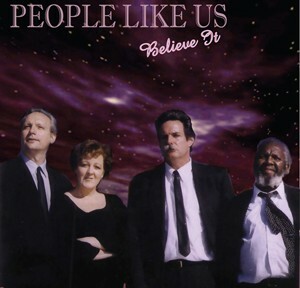 Forrester’s People Like Us tunes are mostly midtempo, swinging crossroads, where bebop and its predecessors make fruitful bedfellows on a rhythmic mattress of Denis Charles’s drums and Dave Hofstra’s bass. This is playful music, entertaining and improvisationally interesting, with Forrester integrating a bounce learned from hard bop and a style of composition that sounds touched with Herb Nichols’s delightful genius for segues and odd interludes. As a companion to Believe It, more daring listeners might want to try Forrester’s early works, predating his tenure in Phillip Johnston’s Microscopic Septet, on the aptly titled Pre-Microscopic Music Circa 1980.